The ruling didn't cite Dannehy by name, and although it was publicly reported it apparently never came up in the news coverage of her appointment. The DOJ announced on July 21 that it has "closed the case" on the nine unprecedented mid-term firings because Dannehy found no criminal wrongdoing by DOJ or White House officials. "This is an outrageous act of cowardice and cover-up!" former Alabama governor and alleged political prosecution victim Don Siegelman emailed me regarding DOJ's decision and the failure to interview him. The Supreme Court vacated much of Siegelman's conviction last month after years of controversy, including charges by Republican whistleblowers that he was prosecuted primarily because he was a Democrat. As a result, House Judiciary Committee leaders and Siegelman's first trial judge, U.W. Clemon, last year separately urged Attorney Gen. Eric Holder to investigate suspected DOJ prosecution irregularities in what Clemon called "the most unfounded" prosecution he'd witnessed in nearly three decades on Alabama's federal bench. Dannehy's probe, my reporting suggests, was compromised from the beginning. 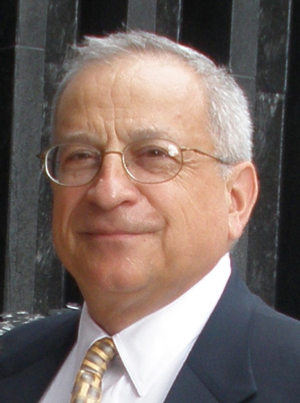 The court found that the prosecution suppressed evidence that could have benefited the defendant, Connecticut businessman Charles B. Spadoni (pictured). Spadoni had been convicted of participating in a plot by his then-employer, Triumph Capital, Inc., to bribe former state Treasurer Paul Silvester to invest $200 million of state pension money with his firm. But the appeals court found that prosecutors had failed to turn over to the defense an FBI agent's notes of a key interview they conducted with Silvester's attorney. In doing so, the court ruled, "the government deprived Spadoni of exculpatory evidence going to the core of its bribery case against him." The court reversed Spadoni's convictions on seven counts of racketeering, racketeering conspiracy, bribery and wire fraud, leaving intact only an obstruction of justice conviction. Prosecutors found by a court to have committed misconduct typically face some sort of internal investigation within the Justice Department. But whether there was any such investigation, and why or why not, is not publicly known. As it happens, the Spadoni case also raises concerns relative to the ongoing federal probe of potential Bush administration wrongdoing in covering up torture that is being led by John H. Durham, another prosecutor from Connecticut. Durham supervised Dannehy's decade-long prosecution of Spadoni. Like Dannehy, Durham was appointed by Mukasey in 2008 to be a special prosecutor with national responsibility. Durham's initial charge was to investigate suspected destruction of dozens of torture tapes by CIA personnel. In 2009, Holder expanded that probe to other decision-making, including by DOJ personnel. Until now, neither DOJ nor anyone else has linked Dannehy and Durham by name to the prosecutorial misconduct against Spadoni, as far as I can determine. The court decision doesn't cite specific actions by the two. But it clearly refers to their case, and the information is readily available online in Lexis and in any good law library. 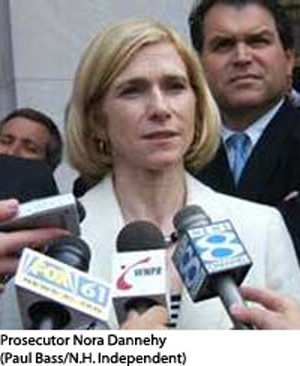 In April, as the acting U.S. Attorney for Connecticut, Durham signed a DOJ filing denying the merit of the appeals court finding of prosecution misconduct, while calling for Spadoni's continued prosecution for the remaining charge of obstruction of justice for deleting computer files in advance of a potential subpoena. I sought additional comment beyond the court filings from Dannehy, Durham and Thomas Carson, DOJ's spokesman for its Connecticut office. Carson wrote me, "We have no further comment, as the matter is still pending." The DOJ's letter said Dannehy found that the evidence "did not demonstrate any prosecutable criminal offense" in the 2006 firing of former New Mexico U.S. Attorney David Iglesias, and stated that there was no basis to broaden the investigation beyond his circumstances. I'm glad the matter is finally over. I'm gratified the Justice Department took the matter seriously enough to appoint an experienced corruption prosecutor to investigate. I will not second-guess her findings. I hope this scandal prevents future administrations and political leaders from attempting to politicize U.S. Attorneys. It is clear that Ms. Dannehy's determination is not an exoneration of Bush officials in the U.S. attorney matter as there is no dispute that these firings were totally improper and that misleading testimony was given to Congress in an effort to cover them up. I took great comfort after reading this article in the comment section. I personally have no tears for Alberto, he had his chance to offer testimony...I watched him make a fool of himself with his body actions and words. These guys can't stand the truth. That's why the system was set up to fail on criminal charges or strong findings and that's why Alberto is spinning like a top. This is not the last shoe to drop. He wasn't charged. This preserves the ability of the feds to charge him later, when the public demands it. Alberto is too smart by half. about Alberto! Given the gist of this piece, is this still true for other Justice players and Bush Admin officials? : "preserves the ability of the feds to charge him later." I guess it's clearer to ask, given the back and forth dynamic among the relevant circumstances and issues this article presents, does Danney's claim of "case closed" sitll hold true or is everything still as wide-open as any believer in real justice would hope?